REGISTRATION TYPE DESCRIPTIONS: You are now able to automatically display your event registration type descriptions on the event registration form. Previously, you had to click on the title of the registration types for the description to display. By enabling this new setting (found under Setup> Event Settings> Checkbox "Display Registration Descriptions by Default"), they will automatically display. See what this looks like. WAITING LIST REGISTRANTS: When waiting list is enabled on your event, and you have registrants on the waiting list, staff members now have the option to "remove from waiting list" - which will remove them from your event altogether. See where this is. INVITE LIST REGISTRANTS: For those that are marked as "invited" in the Attendee tab of your event, staff members are able to "register" them using the gray actions button. When you select the option to "register," staff members will now be directed to the registration form, with that contacts information pre-populated. See where this is. TOTALS COLUMN: You'll now see that we have added a Totals column to the overview tab of events. This Total gives you a great at a glance view at your potential event revenue. See a screenshot of where this is. SHOWING THOSE THAT ARE REGISTERED: Our software now honors the "Show Registered Attendees To Members" checkbox, that is located in your event. See where this setting is. This allows you to show a list of those contacts that are registered for the event to your Info Hub members. See what this looks like on the event details page in the Info Hub. COPYING ATTENDEE SETUP: When copying an event and including attendee setup, you will now see that Registration Start and End Date are successfully being copied, as well as Early Bird Discounts. In the hub, when a user makes a credit card payment on multiple invoices, if the amount paid does not exactly match the invoices selected, this can cause problems for the staff to manage. We have now made it so end users can not overpay. If the payment amount is over the total amount, they will see a message. See a screenshot of message. We have also made sure that when paying a partial payment on multiple invoices, users are aware of this, by showing them a message. See a screenshot of this message. NEW PAYMENT GATEWAY SETTING: On each payment gateway (stripe or billhighway), you now have the option to select whether or not the "store payment profile" checkbox on the payment widget throughout the software is enabled by default. Some organizations want it checked by default, and some don't. Now, you are able to change that setting on a per-gateway basis. (Under Setup> Finance, Payment Gateways> select the payment gateway, and enable/disable the "Create stored payment profiles by default" checkbox, as needed.) See where this setting is. This checkbox will be enabled by default, just as it was already checked by default previously. Note: Authorize.net is slightly different, in that payment profiles are handled under the add/manage profile button, but this new setting in some cases will still apply. EDITING INVOICE #s: By default, we now do not allow staff members to edit invoice numbers. However, there is a new setting (under Setup> Finance, General Settings) that can make the editing of invoice numbers available again (if needed). See a screenshot of this new setting. This setting enables/disables the ability to edit an invoice number when in an invoice editing screen (which can be accessed via various spots throughout the software). If enabled, we have also added a warning message that will pop up when a duplicated invoice number is imputed. INVOICE # SEQUENCE: You may also notice that we have added a new input field, allowing you to set what the next invoice number will be. When you enter a number here, all future invoices will follow that number sequentially. This setting is also located under Setup> Finance, General Settings. BILLING NOTE: When a user adds a billing note, (either by Contact> their billing tab> purple quick actions button> log note OR by Contact> their billing tab> Billing Notes section, hit orange plus button) the note now defaults to the contact you are on, as well as automatically changes the type of the note to a billing note. 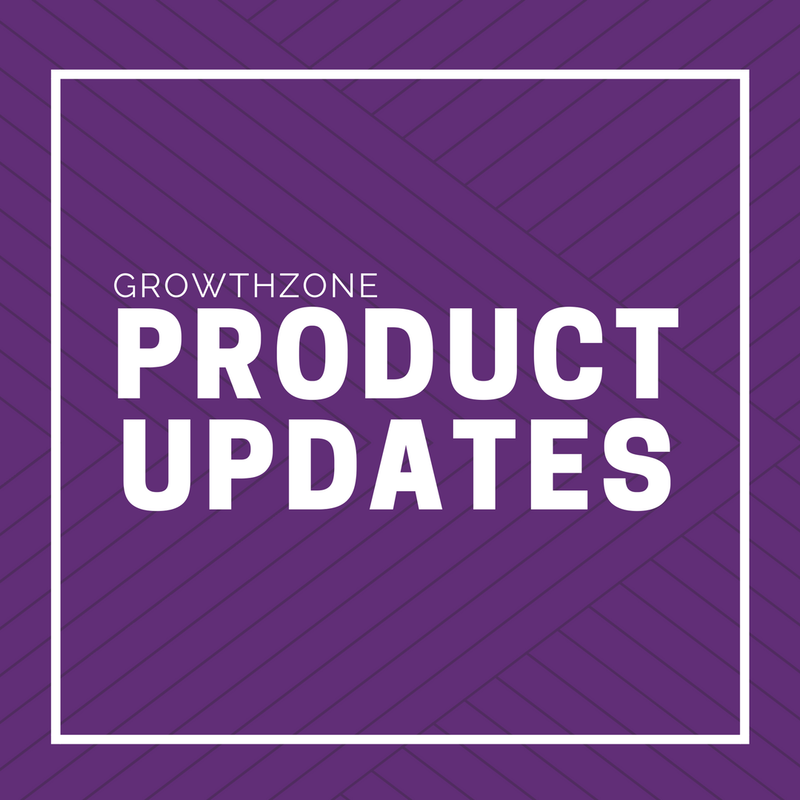 TITLE CONFUSION: We have resolved some of the issues that some organizations were having regarding the Title field that is displayed next to the name at the top of a contact record. The contact’s title is now tied to the contacts primary org title. No matter if you edit from the title field on the contact, from the primary org title, or the Info Hub, the other places should be changed too. Meaning they should be in sync. If a contact does not have a primary org (or no org at all), they can fill in the title field just like they could before, but will be overwritten when associated to a primary org. Please note: we are continuing to work on when a title is collected during event registration. More to come! INVALID EMAILS: NEW VALIDATION SCREEN - We now have a way in the UI to validate invalid email addresses (if needed). Now, when a staff member from the back office clicks on an email address that is marked with a little red warning symbol (meaning invalid), a new dialog box will open giving them options to Recheck, Edit & Recheck, or Mark as Valid. See a screenshot. This was a UserVoice item! MERGING CONTACTS: Staff users frequently report that merging a contact was not successful. However, this can be due to it taking a few minutes, while jobs are running in the background. We have improved the success message that happens when a contact is merged. See a screenshot of what this message now looks like. REMOVED OLD AR REPORTS: The older versions of the Accounts Receivable Aging Details and Summary reports have been removed. The two remaining Accounts Receivable Aging Details and Summary are still marked with NEW. This "new" will remain for a little while, just to make sure our users are aware that they are using the new ones. These newer versions are more accurate and quicker to pull. SUM OF COLUMNS: Our reports will now have a sum (or total) at the bottom of any integer column, even custom field integers! This was a UserVoice item! NEW REPORT: We've added the "Transactions by Contact" report, which is similar to the "Sales by Contact" report but we've added the various types of transactions (invoices, payments, refunds, credits, payments, receipts, etc.). RENEWAL MEMBERSHIP REPORT: Now you can filter by a specific date range. See a screenshot of how this is done. TAGS: We created a new screen that allows you to better manage your tags. Under Setup> Miscellaneous, Tags. VIEW TAGS: This new screen allows you to see how many times each of your tags are used, and where they are used. See what this screen looks like. MANAGE TAGS: You are also able to edit the names of your tags, and anywhere that tag is used will also be updated. You can delete a tag from here as well. See what this tag editing screen looks like. PULL REPORTS ON TAGS: In the contacts report, you are able to use a type ahead in the tags field to select the tag you want to report off of, meaning your results will be just those contacts/orgs with that tag on its profile. You also have the ability to add "tag" as a field to display, if needed. See example report here. LIST/COMMITTEE: In the back office, you will now see in your list/committee that the names have been split out into First and Last Name columns, giving you the ability to sort appropriately. This was a UserVoice item! CLOUD/INFO HUB RESOURCES: In response to several requests, we have added the ability for staff users to add and manage Info Hub resources from the back office. Staff users can now easily add, edit, delete, categorize and share resources with contacts in lists or committees without needing to log into the Hub. Simply click on the Cloud module on the left-hand navigation and the Resources tab. See a screenshot of where this is. You will see your existing resources and important information like the resource's category and which groups (if any) the resource is restricted to. STORE: Staff members are now able to add multiple images for their store items. See a screenshot of the back office view. See a screenshot of the website view. LOGIN ACCESS: NEW SETTING - You will now see that the suggested username that displays on the Info Hub account creation page will be in the format of “firstname.lastname”, instead of the user’s email address. See screenshot of the account creation page. If your association prefers email address as the suggested username, we have implemented a setting that allows staff members to make email address the defaulted suggestion. This new setting is located under Setup> Login Settings> new checkbox “Default user name as email” (not checked by default). Keep in mind, that the username field is editable on the account creation page and users can change their username at any time after the initial sign up process. This new setting only changes the suggested username. EMAIL TEMPLATE: The "Online Payment Receipt" standard email template now includes the link to the paid invoice. This is now very similar to how the "Auto Payment Receipt" template looks. Just as a note: The "Online Payment Receipt" is triggered to send when a member/non-member pays an invoice through the Info Hub and/or online. Verses, the "Auto Payment Receipt" is triggered when a payment is automatically triggered, like a recurring billing fee item. This was a UserVoice item! USER ACCESS LEVEL: You now can set the Dashboard to its own access level. Previously, if a user was set to very little access, in some cases, they would see an "oops" message on the dashboard. This will no longer be an issue, as the dashboard has its own access level setting now. See where this setting is. MEMBERSHIP APPLICATION: We have now changed it so on the Membership Application when both payment options are available to prospects, the “Pay Now” option will be selected by default, instead of the “Invoice Me” selection being selected. See before/after screenshot. REPORTS - For any reports that pull in contacts, we've added these additional contact name fields as fields to display options. EMAIL COMMUNICATIONS - insert these new contact name merge fields into emails. Invoice/Statement Templates: You are now able to add quite a few new merge fields! Please see the list Cheri has put into the wiki. Those currently listed are ones that were just added, and we will work on adding those that were available previously as well. Cover Letter Template - The added merge fields are currently working for just individuals, not orgs/billing contacts, yet. Not sure how to add a document merge field? - check out these step-by-step instructions in the wiki. CONTACT NAME: You will also now see that when on a contact's profile, their full name will display at the top (prefix, first name, middle name, common name, last name, suffix - if filled in).